Most Christians experience doubts at times about their salvation, and that uncertainty can be alarming. But either salvation is eternally secure from the moment of genuine faith or it isn't. And no subject is more important than the assurance that you can know at this very moment that you possess eternal life. 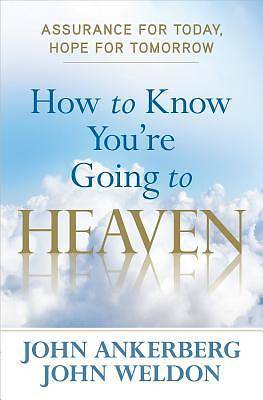 How to Know You're Going to Heaven provides the undeniable and compelling biblical proof to resolve any uncertainty about your eternal destiny. As you encounter the infinite treasure and wonder of Jesus Christ and all He has accomplished for you on the cross, you will experience joy and lasting freedom once and for all--forever.